Talk and type or do anything else you choose with the Gigaset DA410. 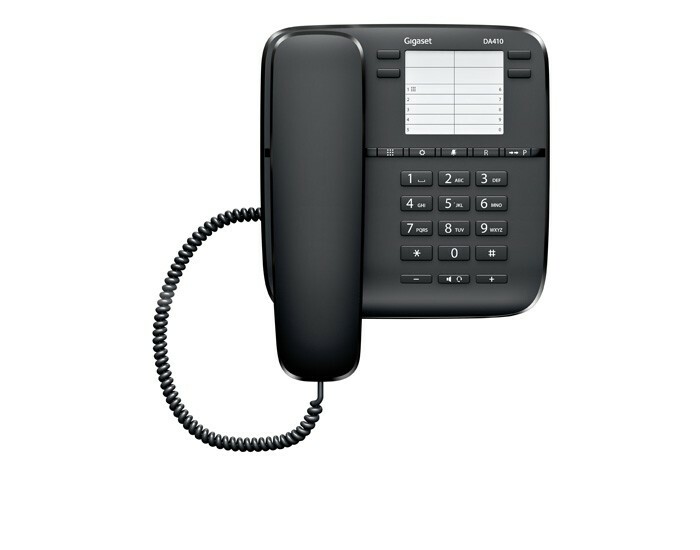 This phone combines the simplicity of a corded device with the convenience of handsfree talking, leaving you free to multitask while on the phone. With its 4 direct keys letting you call with a single touch, as well as 10 speed dial numbers for more quick connection options, the Gigaset DA410 is straightforward and intuitive. The headset connector allows you to plug in an RJ9 compatible headset such as the Gigaset ZX410 for even more autonomy while talking. The Gigaset DA410 provides a choice of 10 melodies and 4 volumes (as well as ringer off option), so you are certain to find a combination that suits your personal taste. The visual call notification function ensures you won’t miss calls even when the ringer is turned off. To quickly call back the last person you called, make use of the convenient last number redial function to get in contact with them again. The Gigaset DA410 truly is the all round reliable desk phone with the added bonus of handsfree talking. 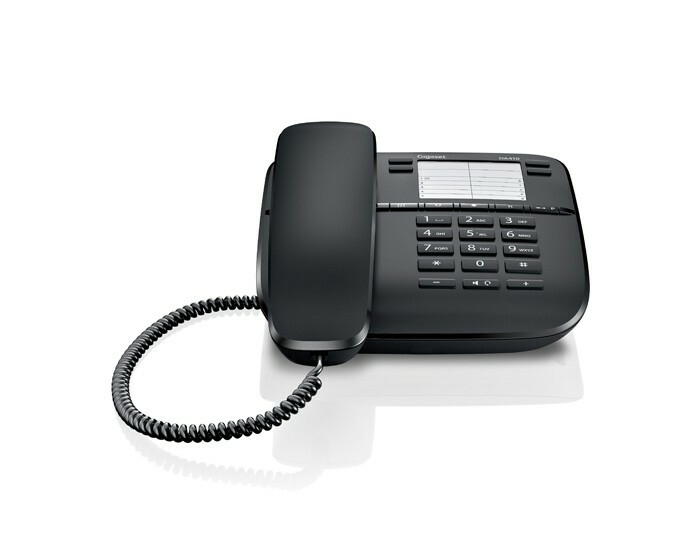 Pabx and PSTN compatibility allows you to either connect straight to the fixed line network, or use the Gigaset DA410 as part of an internal network of phones within the home or office. Leave the Gigaset DA410 on your desk within easy reach or mount it to the wall to save space. Of course the Gigaset DA410 is hearing aid compatible and it also allows you to put someone on hold while you accomplish a separate task by pressing the mute key. Your contact will then hear a melody until you get back to them. You can choose to use either pulse or tone dialling, and flash time is also adjustable. 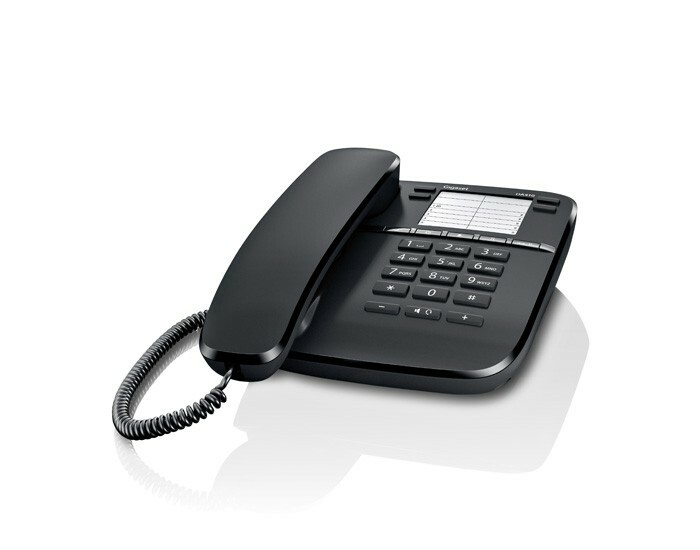 Choose the Gigaset DA410 for the simplicity of a corded phone with the convenience of handsfree talking.